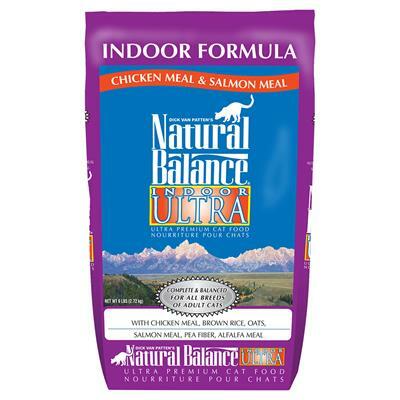 Keep your house kitty healthy and fit with the Natural Balance Indoor Ultra Chicken Meal & Salmon Meal Formula Dry Cat Food. 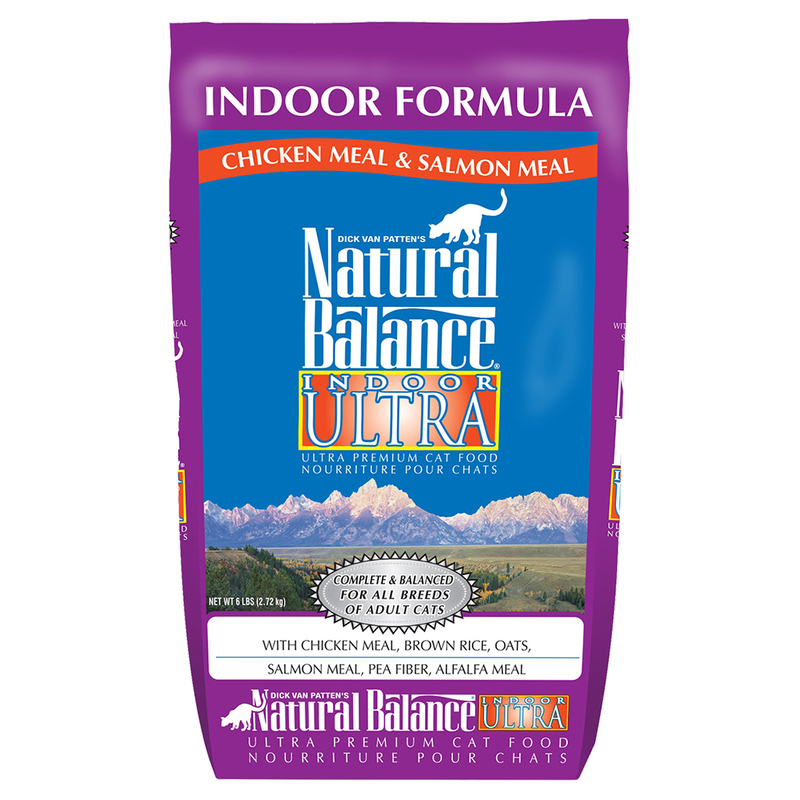 It’s made with lower levels of fat to help support an ideal weight for your pal, without skimping on the protein and nutrients he needs to fuel all his adventures in the great indoors. That’s why every crunchy bite is loaded with lean proteins like chicken and salmon, plus wholesome oats and brown rice, and vitamins, minerals and essential taurine for healthy eyes and heart. With every bowl, you’ll be doing your part to help your pal look and feel his best with nutrition he can savor. Low-fat kibble is specially-formulated to support a healthy weight for your indoor kitty. Made with high-quality proteins with chicken and salmon to support active, toned muscles. Loaded with veggies and highly-digestive carbohydrates for energy, plus vitamins, minerals and taurine for eye and heart health. Supports a lustrous and healthy skin and coat with omega-3 and 6 fatty acids, vitamin E, biotin and kelp. Made with no artificial flavors, colors or bleached ingredients and provides a complete and balanced diet for all adult cats.